Despite all my efforts and numerous blogs my attempt to debunk the myth of "Military Krav Maga" and "Police Krav Maga", have only been partially successful. Even among schools affiliated with IKI Krav Maga there are some instructors who, despite all logic, cling to the belief that there is a special Israeli Military or Police Krav Maga; powerful and deadly, only taught to police. Of course it is only natural, yet sad, that many young Israelis capitalize on this false belief and "give the people what they want". You want Military Krav Maga? Then we shall deliver, even if we have to make it up ourselves. You want "Israeli combat fitness"? we can do the same, whatever you are willing to pay for. At nearly all of my twenty plus seminars on this current tour there have been active police officers and military veterans among our participants. All of them have real life experience, police academy training, etc etc.. But guess what? No disrespect intended but their ability (before coming to train with us) is no better than the average beginner. In fact, with all due respect their ability is often below average. Pure beginners often grasp the techniques better and more easily. Police often do not allow themselves the opportunity to learn the techniques in a more relaxed, less pressured way. (just today Gary in Florida pointed out that often women and girls pick up techniques much faster than the "Tough Guys"). I find that police officers often lack coordination, use too much muscle in trying to force a technique and often do not see the "easy" way to make things work. 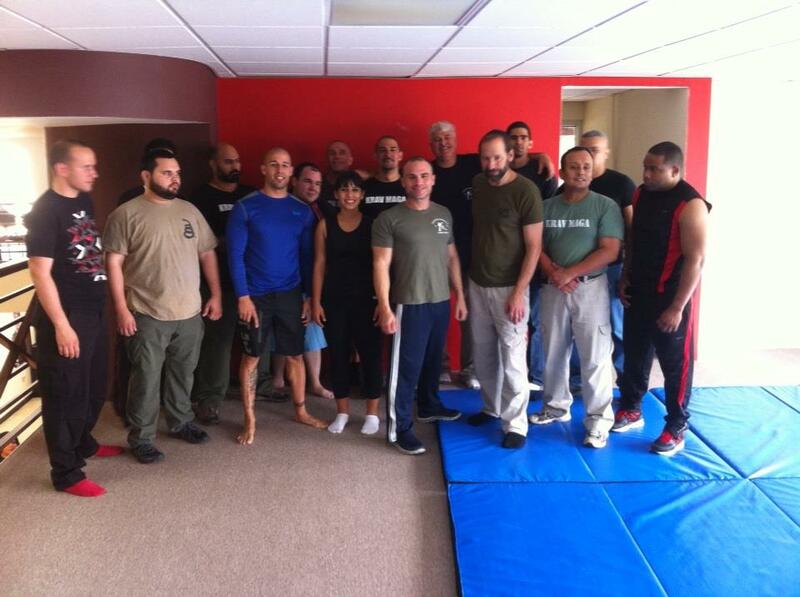 Police officers contribute a great deal to IKI Krav Maga. Questions derived from their real-life experience add immensely to our training. Their real life experience, knowledge of the street and descriptions of real life events add greatly to our experience. From this we gain precious and valuable information. Allow me to clarify at point about our training, designed to save us in real life situations. Aggressiveness - Although this is an essential aspect of Krav Maga it is not an essential part of learning a technique. Yes, on the street in a foreign country you want to speak the language rapidly and in a flowing manner but when first learning the words we go very slowly. We want to pronounce the word correctly, this cannot be done quickly. Za - me -chate - tel - ny. (Wonderful, Russian). Say it slowly, one section at a time, and in time you will say it smoothly and with confidence. It is the same with learning Krav Maga. Doing a gun disarm technique aggressively while you are still just learning it will only guarantee that you will never learn it properly. As a student you will never impress me by going hard and fast. To learn you must let go of your ego. You did not come to the class or seminar to impress me, you can to learn! (I hope). A relaxed student learns much faster. At a recent seminar in Colorado Springs, two cousins, Hope and Christy, amazed me by how much they mastered in just two days. They had no previous Krav Maga training. I have no doubt that other instructors would be convinced they had been training for several years. Their secret? They were happy and relaxed, nothing was forced. Throughout the training the smiles never left their faces. Guess what? You can learn a lot faster with a smile. As my dear mother pointed out years ago there is nothing to match that feeling when you see that a student "got it". Their eyes light up in a special way, a relaxed proud smile comes across their face. Confidence fills their heart. And as she said, when you see that, and you get that warm feeling in your heart, you know you were born to be a teacher. This group in San Juan, Puerto Rico, includes several experienced police officers. I admire police officers who take the time to come and train in Krav Maga. Sadly this training is not provided by their departments. Forget the myths, learn the true history of the Israeli combat tradition. Going back to our first instructor, Abraham, and his descendants. 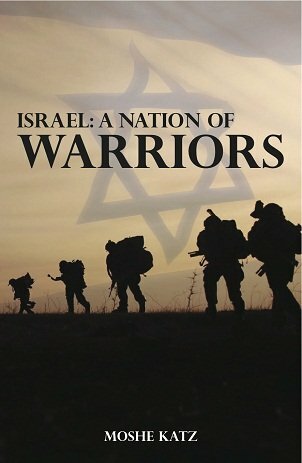 Learn about the Biblical warriors and the Hebrew warriors throughout the generations up to our own times. The book covers the history and roots of Krav Maga and the modern Israeli Defense Forces. The book analyzes what makes Israeli security the best in the world.